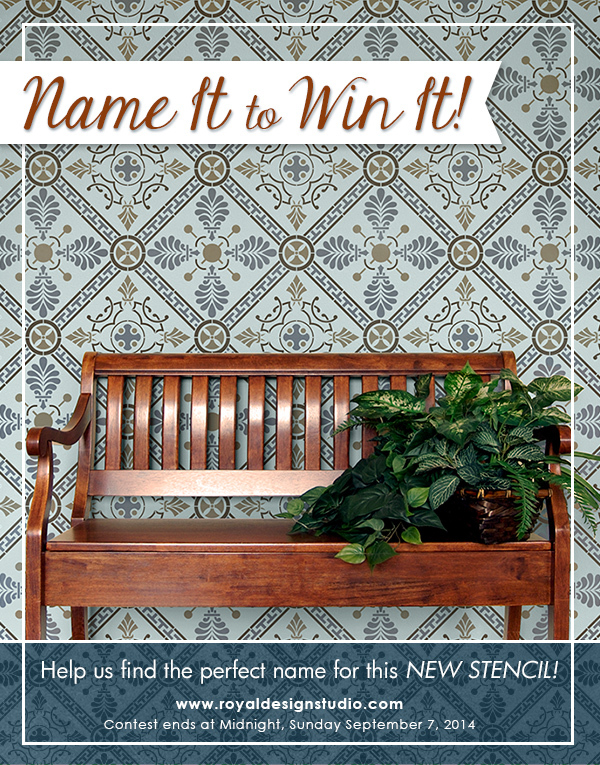 Home / News / Contests + Giveaways / New Damask Stencil: Name it to Win it! 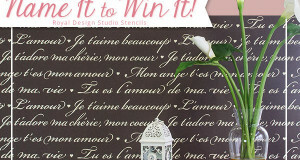 The winning stencil name was Grecian Tile Damask Wall Stencil suggested by Celine Fleur. 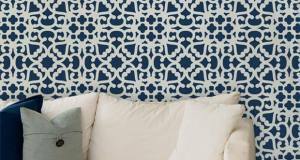 Find the Grecian Tile Damask Wall Stencil on Royal Design Studio. Name it to Win it is back! We are excited to introduce a new stencil to our Damask Stencil Collection! What makes this pattern unique is its intricate organic designs nestled within geometric shapes. It is sure to give your walls, floors or furniture a regal touch! The one thing stopping us from making this stunning stencil available to you is our lack of the perfect name. You guys have come up with some of the best names for our stencils in the past; now we need your help once again! This is your chance to leave your mark on one of our most beautiful stencil patterns! So hurry and leave your best name suggestion in our comments section below before midnight, September 7th. If we PICK it, you WIN it! Good luck! “Pennsylvania Dutch” – because it reminds me of those hex signs painted on barns…………. “Heirloom Quilt” At first glance I thought of my grandmothers quilts. Talavera. Reminds me of Talavera tile patterns! I love this pattern by the way! Vintage Linoleum reminds me of my Great Grandmothers Linoleum floor. The first thing that comes to mind is Ric Rac. It reminds me of the Roaring 20’s so I would call it Ragtime. Pennsylvania Celt. It has Celtic-like crosses and “mazes” along with a Central Pennsylvania Amish/PA Dutch country feel. One of my favorite places to live! I think a beautiful name would be Damask Rana , meaning ” Beautiful to gaze upon” . Congratulations on a lovely new stencil design. Serendipity is a fun name. There’s so much beautiful movement….how about “Arabesque”. When I look at it I see new blossoms growing and spreading and reaching for the sky. Reminding me that life is always full of new life and new goals. Very comforting.